The Arthur Pieman Conservation Area stretches along the wild and windswept North West coast of Tasmania and covers an area in excess of 100,000 hectares. Much of the reserve is between the Arthur River in the north, the Pieman River in the south and the Frankland and Donaldson Rivers to the east. It is a dynamic landscape which is being continually reshaped by wind, fire and water. The area has a rich Aboriginal heritage which has left markers in the landscape, such as middens, hut depressions, artefact scatters and rock art. These special places and their associated cultural landscapes show that Aboriginal people in the past had a special relationship with the land - a relationship which continues with Aboriginal people today. 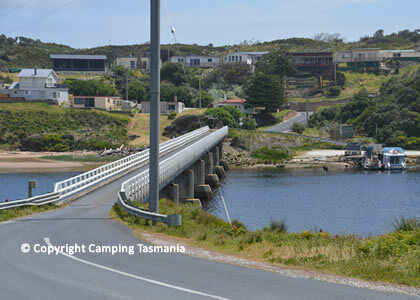 The Arthur Pieman Conservation Area provides a range of opportunities for recreation, from surfing and diving to recreational off-road driving and fishing. 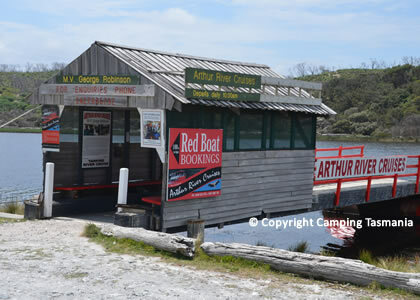 From Arthur River you can head into the Tarkine Wilderness Reserve forests and enjoy a cruise on the lower reaches of the Arthur River, where you will find tall eucalypt forests and rainforests out to the sea. 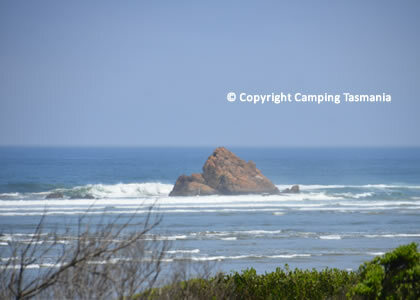 Use Arthur River as the base from which to venture out on a 4WD beach or forest trip. 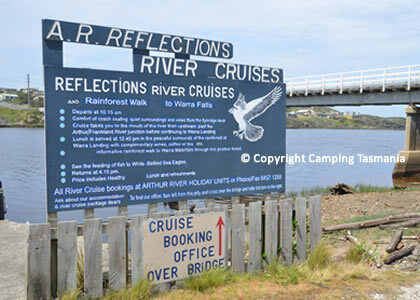 Arthur River borders the Arthur Pieman River Protected Area where you will find facilities for camping, picnics and barbecues. There is plenty of wildlife and bird species including Tasmanian rosellas, wedge-tail eagles and orange-breasted parrots. 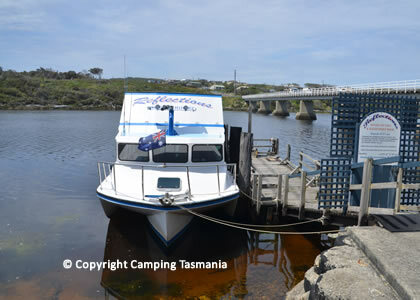 The Western Explorer route is unsealed and takes you to Corinna on the Pieman River some 100 kilometres to the South. When exploring or camping in this area, always be well prepared for all types of weather. The west coast of Tasmania receives the full impact of the Roaring Forties, meaning that warm clothing and wet weather gear is a must all year round. These are informal camping areas with limited facilities; it is advised that you bring your own camping shower, carry firewood, water and a composting toilet. There are no rubbish bins provided and campers must take with them. 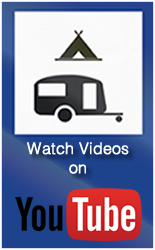 There are no powered sites available in any Arthur River Pieman Camping grounds. A site is an area not exceeding 10 metres by 8 metres. The season is November 1st to April 30th each year. Long term occupation of the site is limited to one family. The Annual camping pass for this area entitles holder to camp up to four weeks at a time. 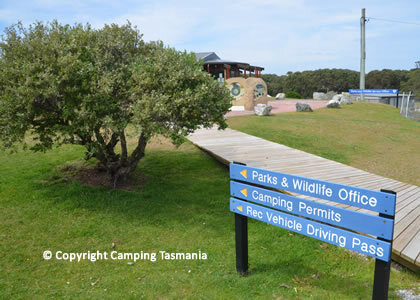 No powered sites in the Arthur Pieman Conservation Area, check with rangers regarding current camping regulations. 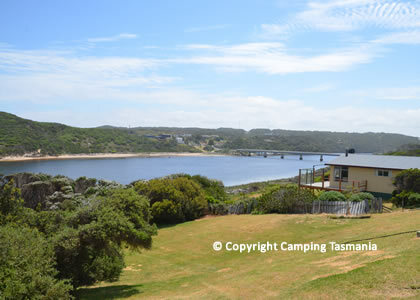 3 campgrounds at Arthur River have water and toilet facilities. Wood is not supplied. Wood on the ground may be collected from beaches. Caravan access is available. 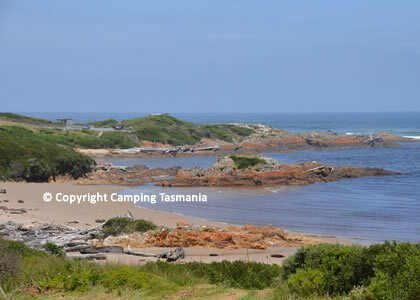 A small campground is situated at the Pieman State Reserve at Corinna, with water and pit toilet, and operated by a private operator. The Arthur Pieman Conservation Area is a over 100,000 hectares reserve in the North West of Tasmania. The reserve features spectacular coastal landscapes, and a rich Aboriginal cultural heritage, and diverse ecosystems. The Arthur Pieman Conservation Area is managed to protect these values and enable a range of recreational activities.